Carlton House is a luxurious 55+ condominium building in Highland Beach located on A1A just south of Linton Boulevard. Carlton House consists of 63 condos spread among four buildings with waterfront views. Built in 1964, Carlton House condos have been renovated with tile or wood floors, modern kitchens, and updated bathrooms. Sitting near the water, condos for sale in Carlton House have private balconies that overlook the Atlantic Ocean or Intracoastal Waterway. Condos in Carlton House have one to three bedrooms and are spacious with over 1,500 square feet. The Carlton House community also boasts resort style amenities including 24-hour security, club room, exercise room, heated pool, boat docks, and garage parking perfect for active adults. For a small HOA fee, you will have cable, water, and trash removal as well as maintenance of the common areas. 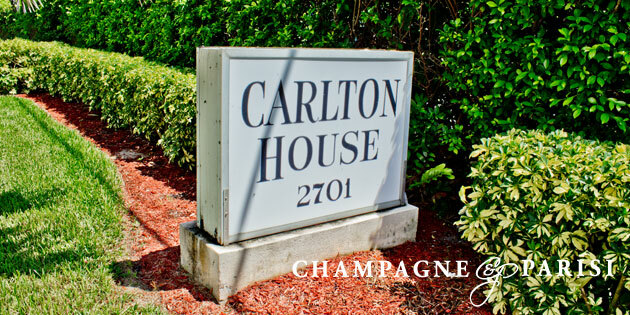 Located near Linton Boulevard, residents of Carlton House are near Delray Beach, and it's attractions. Some of these attractions include the Old School Square, Cresent Theater, and Downtown Atlantic Avenue. Explore the many shops, restaurants, and cultural venues around the city. There's always something for an active adult to do when living in Carlton House. If you're interested in buying a waterfront condo minutes away from the beach with plenty of amenities, Carlton House is the community for you.